You would be surprised at the amount of people who can’t my spell my name and it’s slightly frustrating. So now hopefully no one will get it wrong. Anyway, now you know my name I would like to properly introduce myself and introduce this new blog. Well I say new, it’s the same just with a new layout and name and a brand spanking new fancy domain. I know. I’m fancy. This is the end of an era but also the start of another one which I am super excited. All good things must come to end. Some of you may be here from my old blog, so thank you for still sticking around and reading the random stuff that I have to say. And to those of you who are new, hello it’s nice to meet you, you haven’t missed much. It’s not that I didn’t like my old blog and the way I wrote and the sort of things that I posted, it’s more that I felt like I grew out of it and lost the motivation to write on there. I’m hoping that won’t happen here but we’ll see. Now that I am on my summer break I have so much time and energy to put into this blog and I have already put a lot in behind the scenes because I really want to take it more seriously and make it a place that is truly my own. I want this blog to be a place of inspiration for you and I hope that my words can bring you something valuable to your day. I have a voice and I want to use it for a good cause instead of rambling on about random things which is what I felt my old blog was doing. I want to help people and express my opinion and talk about things that are relevant in today’s society to expect to see some of that one here. Additionally there will also be plenty of fashion bits and bobs to feed your eyes and other lifestylely bits. I’m really into reading my horoscope and on day that I’m writing this which is way in advance of posting it, it states ‘if you analyse your life, you’ll see that it has completely changed over the past twelve months, you’ve matured as an individual. Don’t stop now, you need to feel that your life is evolving all the time, there is no time to rest’. This completely blew my mind because of how accurate it is. I’ve been really focusing on self care recently as 2017 was not a good year for me and I’ve realised how far I have progressed as a person over the last year. 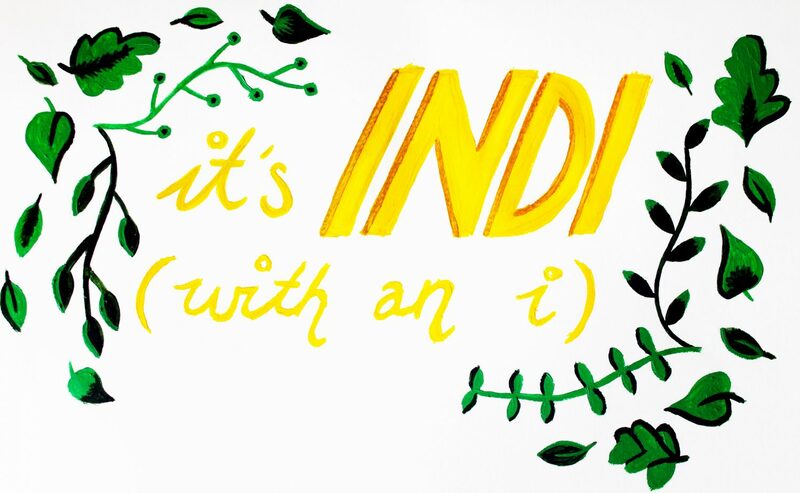 Indi of June 2017 is nothing compared to Indi (with an i) today. I’m learning to look at the past a learning experience as opposed to a regret because I don’t want to live a life of regret I just want to learn from the things that I have done in the past and grow from them. I’m 18 now, so I guess you could say that I have started the journey of adulthood which is both terrifying and incredibly exciting all at the same time. I’m really learning who I am as a person at the moment and I want to project this onto this blog. This will be a place that truly shows who I am as a person, and I hope that you enjoy what I have to say! I don’t yet have an upload schedule but you’ll see over time when I upload. As you can see there is a plant theme going on because I love them so much and my room is full of them. In some ways I’m using them as a metaphor because, like a plant, I am continually growing all the time and that also applies to my blog. That may not make any sense but it does to me. So if you like plants then you’ve come to the right place! I have also started all new social media pages in celebration of this new blog, I really felt like I wanted to start on a completely clean slate. Hope you enjoy this journey with no destination! Send me links to your blog as I am always looking for more things to read! Thank you so much, that’s so lovely!